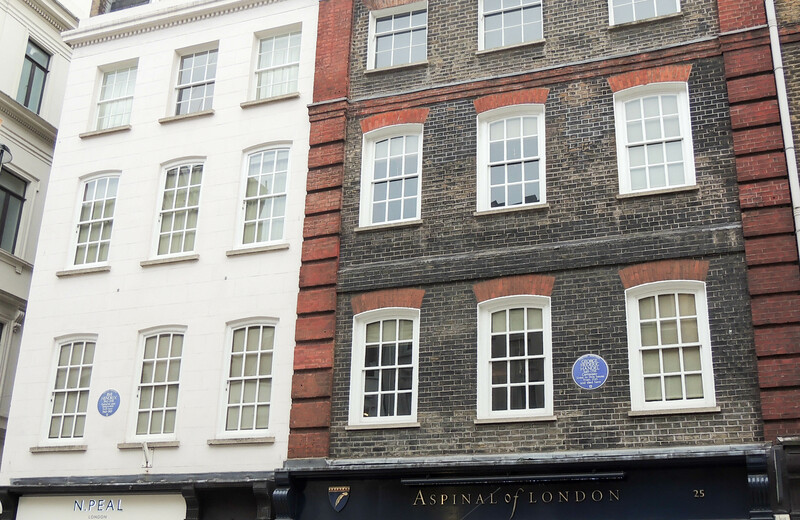 There is a house in Brook St in central London that carries two Blue memorial plaques. Both are dedicated to master musicians, although of very different genres and ages. 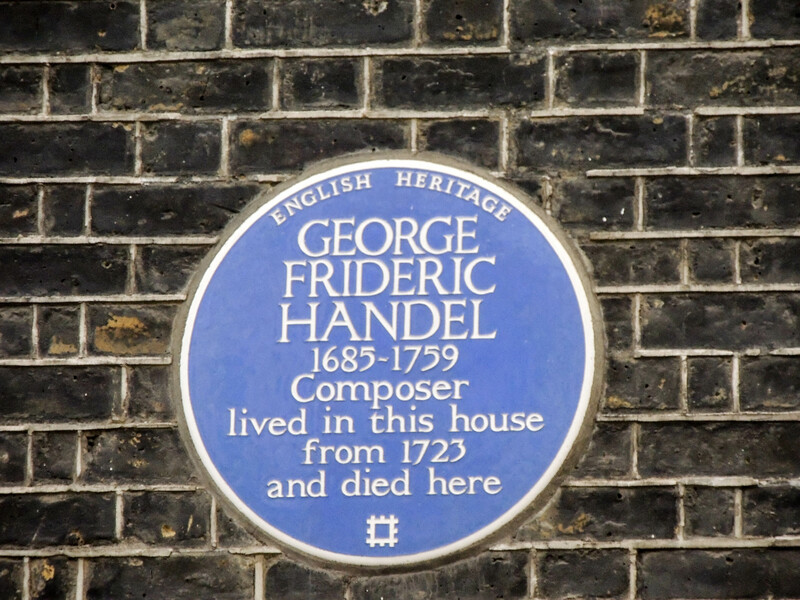 George Friderick Handel lived at 23 Brook St for over 40 years (1719-1759) and wrote most of his famous compositions here including ‘Messiah’ and ‘Water Music’. Rock Guitarist and songwriter Jimi Hendrix moved in with his girlfriend Kathy, who lived in a flat in the now converted building, in 1968. By this time he was one of the biggest hits in rock music. He lived here until March the following year when he left to tour the USA. He was only to return for brief spells in the year that followed. He died in a hotel in Notting Hill in September 1970, aged 27. 23 Brook St now houses the Handel House Museum. 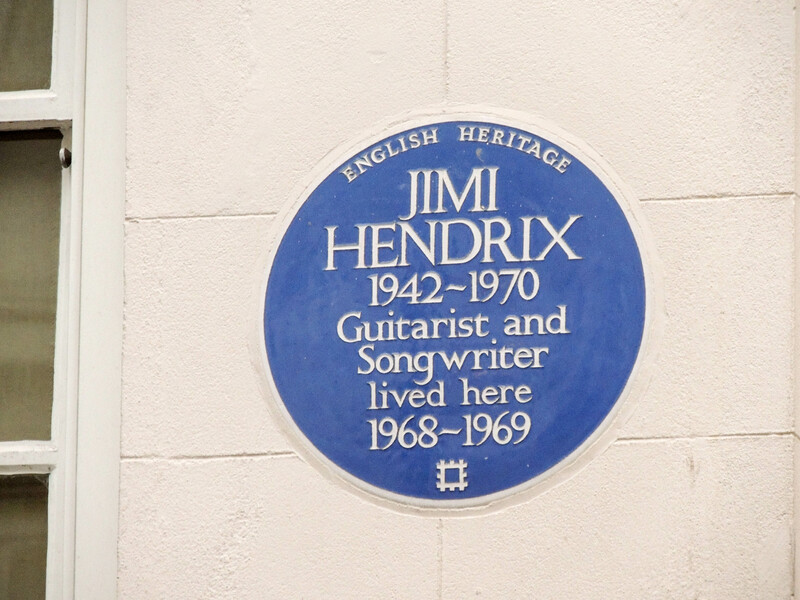 The rooms in which Hendrix and his girlfriend lived are used by the museum as offices, although they were opened up to the public and used to display a temporary exhibition in 2010 to mark the 40th anniversary of Hendrix death. A question that is often asked is did Hendrix know about the Handel connection? Reports suggest that he did not until he moved in, but was so intrigued by it that he scoured local record shops in the search for recordings of Handel’s compositions and some even claim that there are elements of Handel’s music in Hendrix’s later compositions.